LAQSH has signed up with International Institute of Information Technology-Bangalore, a deemed University, popularly known as IIIT-B to offer short term employability programs for IT. The first course to be launched is an immersive program on Software testing. The course will address basic computer science concepts, specific domain skills relating to software testing as well as the full suite of employability skills. The pedagogy will be student centric and students will be given ample time for practical work. Only those students with 60% and above marks will be eligible to enroll for the program. An assessment to check their aptitude and commitment to undertake the rigorous program will be part of the screening process. IIIT-B will be the accreditation and certifying partner. 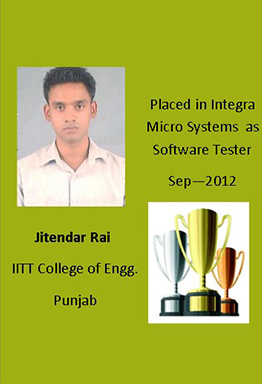 About International Institute of Information Technology (IIIT-B), Bangalore. IIIT-B a deemed university was established in 1999 with a vision to contribute to the IT world by focusing on education, research, entrepreneurship & innovation. IIIT-B collaborates with the IT industry and leading academic institutions in India & abroad. About LAQSH Job Skills Academy Pvt. Ltd., Bangalore. A Company in the employability services space, LAQSH partners with best in class institutions for accreditation and bench marking of skills. LAQSH is a premier partner of N.S.D.C which was set up as part of a national skill development mission to fulfill the growing need in India for skilled manpower across sectors and narrow the existing gap between the demand and supply of skills. LAQSH is a member of National Association of Software and Services Companies (NASSCOM), and works actively to assist other member companies “Bridge the Talent Gap”.